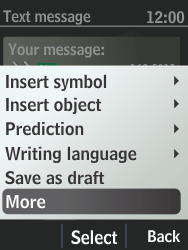 Select Create message, and press the Select key. 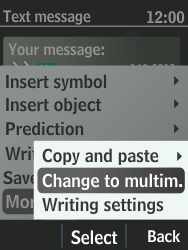 Select Change to multim., and press the Select key. Select Add subject, and press the Select key. 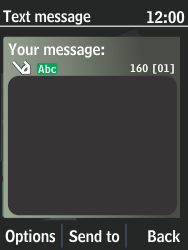 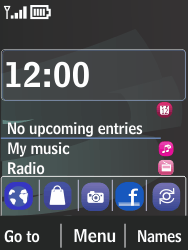 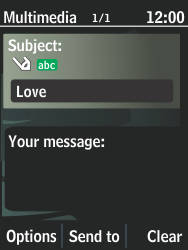 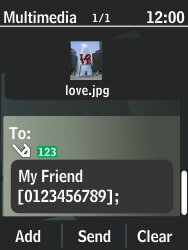 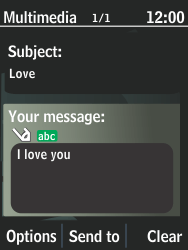 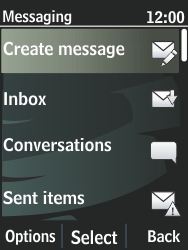 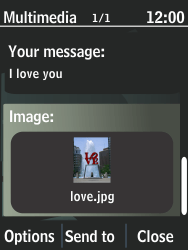 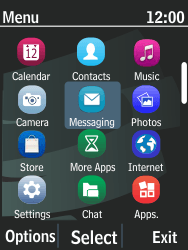 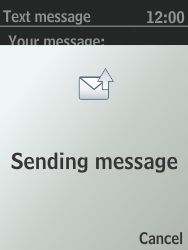 Select Your message, and enter a message. 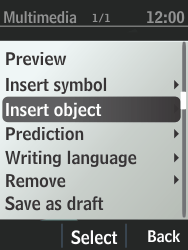 Select Insert object, and press the Select key. 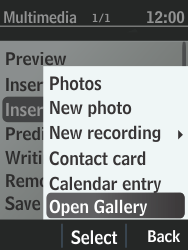 Select Open Gallery, and press the Select key. 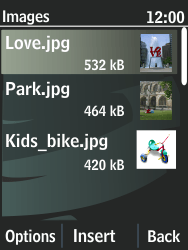 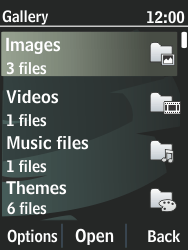 Select a picture, and press the Insert key. 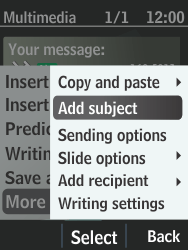 Press the Send to key. 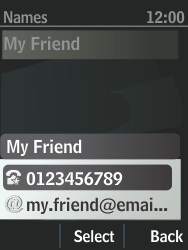 To enter a phone number, select Number or mail, and press the Select key. 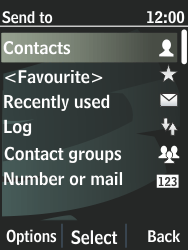 In this case, select Contacts, and press the Select key to choose a contact. 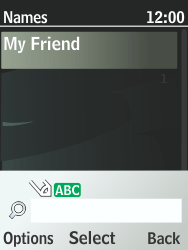 Select a contact, and press the Select key. 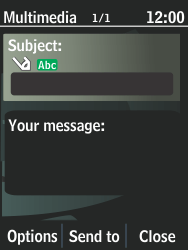 If this screen appears, choose the phone number, and press the Select key.